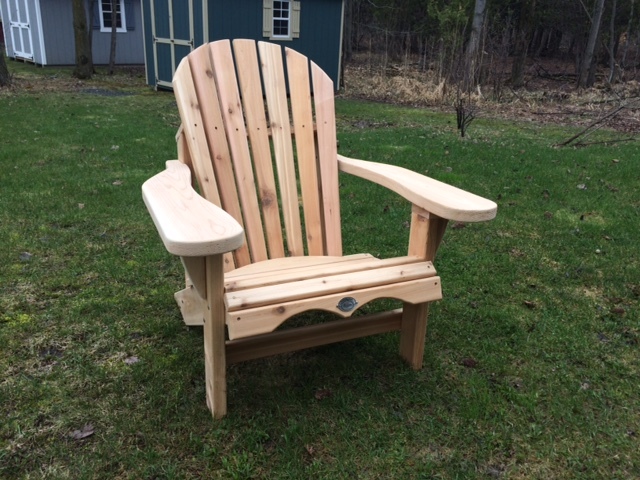 Outdoor furniture by Missisquoi Cupolas and Structures consists of Quebec made Western Red Cedar Adirondack chairs, Western Red Cedar outdoor dining table and chairs, cocktail tables, footrests, porch swings and many more items. 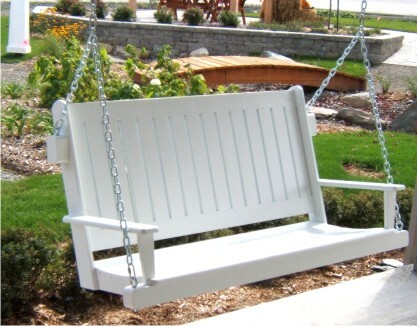 We can custom make outdoor designs to suit your specific needs. 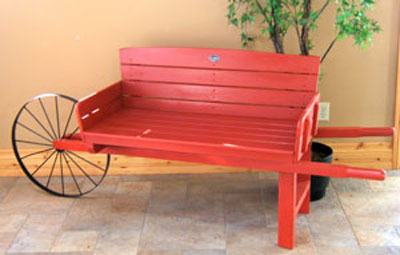 We make an interesting wheelbarrow bench that is not only an attractive garden accessory but serves as a functional seating unit. 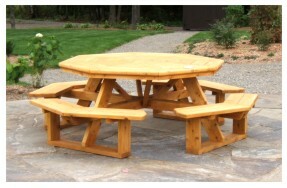 Another unique item is our 104″ diameter Octagonal picnic table that seats 8 comfortably, perfect for those family get togethers. Be sure to visit our showroom In St.Alphonse de Granby,to see our selection of furniture, only 45 minutes from downtown Montreal. All made here in Quebec.